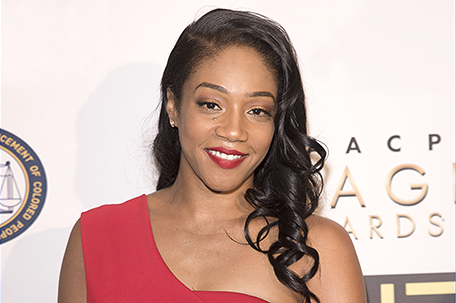 Tongues are wagging that Tiffany Haddish’s ex-husband, William Stewart, claims his comedienne/actress ex-wife’s best-selling autobiography is filled with lies. So he’s suing the “Girls Trip” star for libel, slander and defamation. Stewart says Haddish’s tome, “The Last Black Unicorn,” labels him a “monster” in the chapter titled, “The Ex-Husband.” While Haddish never mentions Stewart by name, he claims he’s the only person she’s been married to, making him easily identifiable. According to the lawsuit, Haddish details her ex-husband “choking, kidnapping and stalking her” during their five-year marriage. Stewart is seeking over $1 million in damages and has also named the book’s co-author and publisher, Simon and Schuster, as defendants in his lawsuit………. TV One is set to premiere its latest original docu-series, “We’re The Campbells” on Tuesday, June 19 at 8 pm ET. The nine-episode docu-series will give viewers an intimate glimpse into the lives of Gospel entertainment power couple Warryn and Mary Mary singer Erica Campbell, as they tackle the everyday struggles that come with balancing family and work, nurturing their marriage, building their individual careers, and fostering their faith, all while raising their three children Warryn, Zaya and teenager Krista………. The Samuel Waxman Cancer Research Foundation (SWCRF) hosted its fifth annual “Collaborating for a Cure Luncheon” at the private Upper East Side residence of Susan Gutfreund in New York City. The event featured a fashion presentation from Fashion Icon Jason Wu, whose collection was showcased before a private audience, with all event proceeds benefiting the Samuel Waxman Cancer Research Foundation. Notable attendees included CNN’s Don Lemon, Jean Shafiroff, Marion Waxman, Samuel Waxman, M.D., Dr. Penny Grant, Patricia Kluge and Lauren Lawrence. Over 125 guests attended this sold out event that was spearheaded by Lauren Lawrence……..